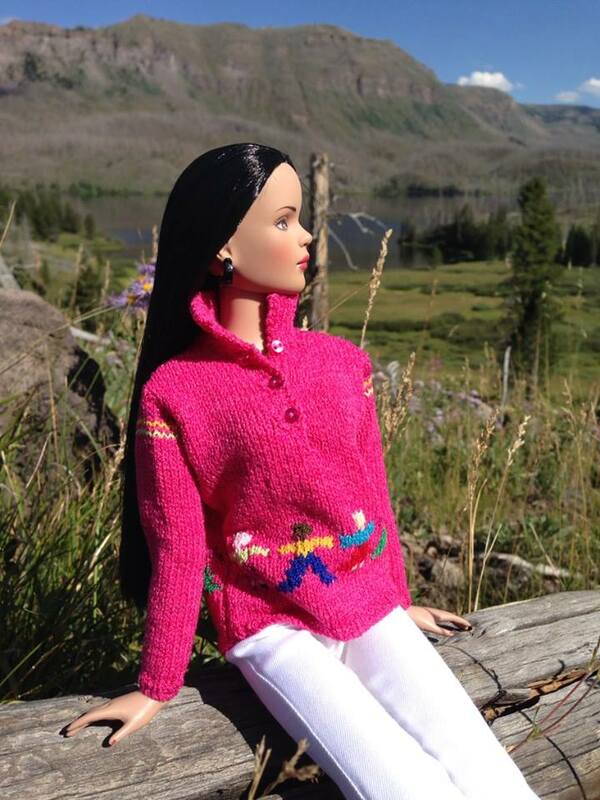 It’s not my intention to turn my blog into a doll sales notification service, but I gotta share the love with this one. Tonner Direct sent out an email to its subscribers this afternoon alerting them to a liquidation sale on its Diana Prince (aka “Wonder Woman”) line. This line re-imagines Wonder Woman’s alter-ego, Diana Prince, as a fashionable woman about town. Robert Tonner incorporates into each ensemble subtle references to Diana’s true identity, such as elements of red, white, and blue, and star charms on earrings, bracelets, and belts. I think it is a brilliant re-imagining of a female archetype that strikes a chord particularly for my generation, which delighted in Lynda Carter’s adventures fighting bad guys every Friday evening. Originally intending to purchase just two outfits, I somehow ended up with three outfits and two dressed dolls in my cart before I checked out. The one drawback fore me is the fear that such an awesome sale is an indication that Tonner Doll is falling on hard times. It’s difficult to believe that the company is making any profit by selling those ensembles for just $29 each. It seems to me that these emails about generous sales from Tonner Direct are coming into my mailbox more and more frequently. Collector dolls are a tough business, and Tonner Doll has been around for a long time. I appreciate the sales, but I would prefer to pass on them if it means that a company that has brought so much joy into my life is living on borrowed time.